Song Kang-ho is definitely my favourite South Korean actor. If he is in a film I will take a look. His talent is immense and his capacity for comedy and drama is always a joy to behold. Directed by Bong Joon-ho (The Host, Mother and the highly anticipated Snowpiercer), this cops vs serial killah thriller is a beautifully composed film that highlights the ineptitude of the South Korean police system during the mid 80’s. Mood and atmosphere are key; the cinematography is both luscious and epic. The police are frustrated by the lack of facilities available to them but are driven by the need to catch the killer. 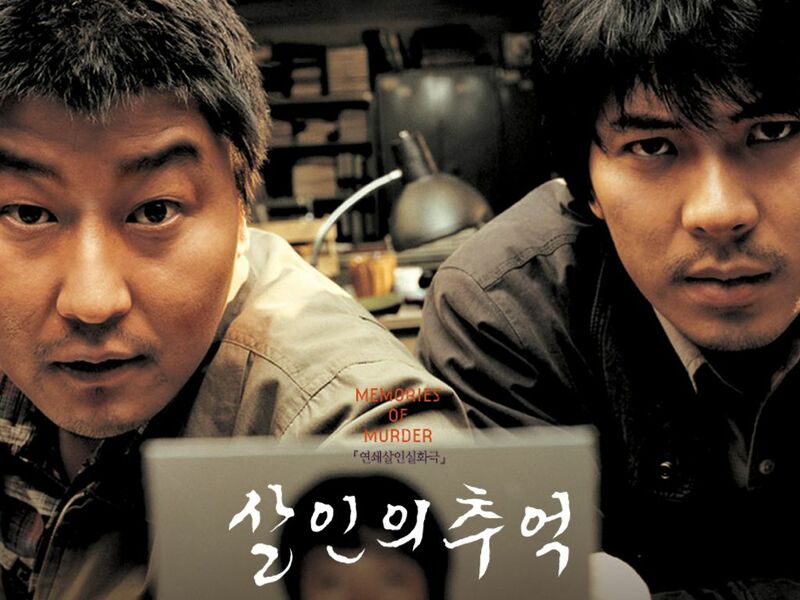 Kim Sang-kyung plays a detective dispatched from Seoul to this country town who looks on the methodology of the local cops as both ridiculous and as backwoods as it clearly is; here is where the contrast between the differing tactics makes for a lot of the humour in the film, and there is quite a bit. 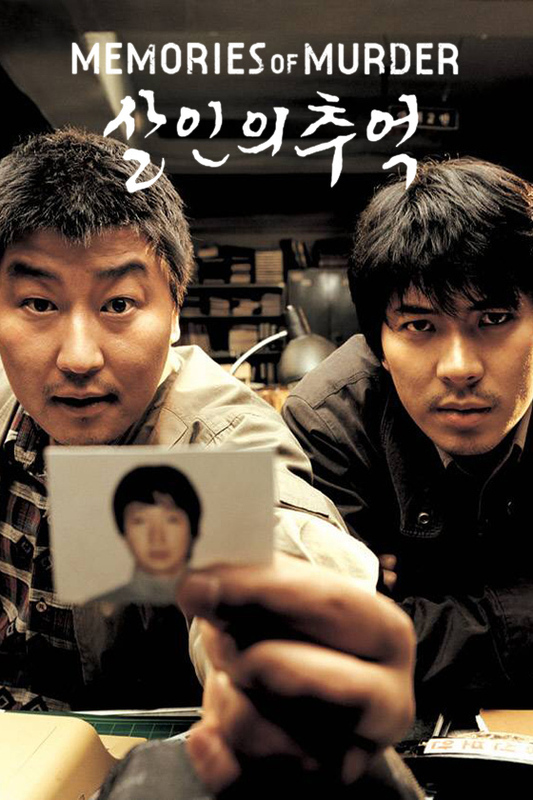 Loosely based on Kim Gwang-rim’s stage play Come to See Me and starring Ryoo Tae-hoo as the second suspect (interestingly, he originally played all three of the suspects on stage) who is truly excellent as are the other two suspects, Park No-sik as the mentally challenged first and Park Hae-ill as the blank-page third suspect. Everybody is brilliant, the mood and pace of the film is truly engaging, but it is Sang Kong-ho who anchors this film with the emotional journey that drags you in. Another one of the South Korean 2003 heavy hitters.